I don’t know if it’s because Easter is so late this year (Apr 24), but Ash Wednesday and the Lenten season crept up on me suddenly. Going into Advent this year, I wanted to experience the fullness of the Church Calendar Year as a way to relive the story of the Gospel afresh. Like a drama with several acts, I committed myself to experiencing the drama of Advent, Epiphany, and now Lent. Before I lead my family through this, I thought that it would be worthwhile to experience it myself. I never really grew up celebrating the Church calendar thinking that it was only for Catholics or overly traditional/liturgical ‘high church’. None of my pastors growing up ever taught on Advent or Lent – it seemed that the only ‘holidays’ that mattered for my Christian pilgrimage were Christmas, Good Friday, and Easter. It’s only when I started serving with my senior pastor, David McDowell, that I sensed a richness to the Church calendar that I was largely ignorant of. So if you’re like me, let me give you a brief introduction as to why Lent matters and what it stands for. I’m indebted to Bobby Gross’ succinct explanation of Lent in his book, Living the Christian Year. It’s a very helpful look at the entire Christian year, its significance, and practical ways to observe it. It also comes with devotions that follow the Christian Lectionary. So here are some of my thoughts about Lent. 1. Lent is a time of introspection and preparation. One Orthodox theologian called it a time of ‘bright sadness’. It’s a time of penitence recognizing the sinfulness that has alienated us from God, requiring the greatest and most precious of all sacrifices, Jesus the Son of God. But it is also a time of hopeful preparation precisely because the sacrifice has been made, and Jesus has risen from the dead. On Ash Wednesday, the officiant will usually say something like, “From dust you came and to dust you shall return.” It reminds us of our own mortality as well as our own moral culpability. 2. Lent is a time of deeper reflection on the lasting impact of Jesus’ life and death and life again on our own lives today. 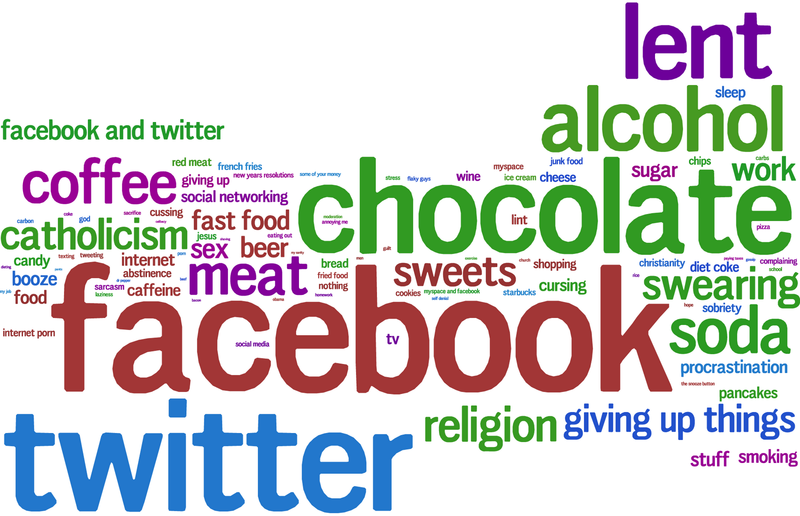 CNN’s belief/religion blog put a poll out on what people were giving up for Lent. One of the recurring sentiments was how the period of giving up something was to better oneself or to detox. This approach to fasting or giving something up is missing the point of introspection and preparation. It’s precisely because we could not better ourselves that Jesus came. The purpose of Lent is to spend a 40-day period intentionally examining the dark places of our soul and recognizing that Jesus’ death covers that too. Lent leads me to repentance, to an awareness that I need a Savior today, and that my waywardness cost Jesus his very life. I can’t improve myself. I’m dead without Jesus. I need saving not improving.This is related to my third thought about Lent. 3. Lent is a time to fast and break our physical/social/emotional enslavements to our bodies and/or the things of this world. I’ve realized in my own fasts how much my body/mind/soul are dependent on things other than God, how much those things control me. In essence, fasting recalibrates my need for the thing(s) given up. As it relates to Lent, I fast because I see that I am still in need of the grace of Jesus today to break me free from the things that enslave my heart. In giving up coffee, Internet, Facebook, or whatever else, I recognize that those things don’t have the power to save me, but they do have the power to control me. It is sola Christus – Christ alone. If we relegate the practice of fasting to some religious activity that we use as leverage against God, “God, I’m fasting from this so that you need to do this,” or even some humanistic agenda, “I’m fasting so that I, by my sheer willpower and self-discipline, can make myself as better person,” then we’ve missed the point. Fasting shows us how weak and needy we continue to be, and is a means to remove whatever obstacles keep us from real life. It’s a statement that declares how much we want to desire Christ more than those things even as those thing continue to battle against us. 4. Lent is a time to engage in humble service. As we look inward, we also look outward. Meditating on Jesus’ resolution and determination to go to the cross for us causes us to break out of our own selfish patterns and habits. Fasting and giving up the distractions and obstacles causes us to see clearly what really matters in this world – the advancement of God’s kingdom among all peoples. As I give up myself because Christ gave up himself, I realize that I have been given so much to give to others. 5. Lent is a time to return to God. By repentance, meditation, and fasting, it is a time to humble ourselves knowing that our merciful God opposes the proud, but gives grace to the humble. Lent affords us the opportunity to walk through the valley, and end up at the cross, and even better, the empty tomb! I reflect. I repent. I recalibrate. I return. What an opportunity to experience the power of the Gospel in the drama of the doctrine. If you’ve shrugged off Lent, or written it off as an outdated stuffy church ritual, I hope that you’ll not pass up on this opportunity to experience the Gospel afresh.